Service learning is students learning and developing skills through intergrated classroom and service activities. Students utilize the skills and knowledge they are acquiring in their classes to make a positive difference in thier school or communities. Service learning provides real life application of academic knowledge and skill to real life community or school needs. B.) Crocodile Grant A collaborative project with the Crocodile Lakes National Wildlife Refuge in North Key Largo, Florida where students increase public awareness of the ecological importance of the tropical harwood hammock to the South Florida ecology and eliminate misconceptions about the american crocodile, an endangered species that is indigenous to the area. They also develop tools (Geographical information Systems Map) and educational resources that assist the Refuge with providing enviromental education and with tracking animal movements, identifying population trends, and reporting information to other agencies. 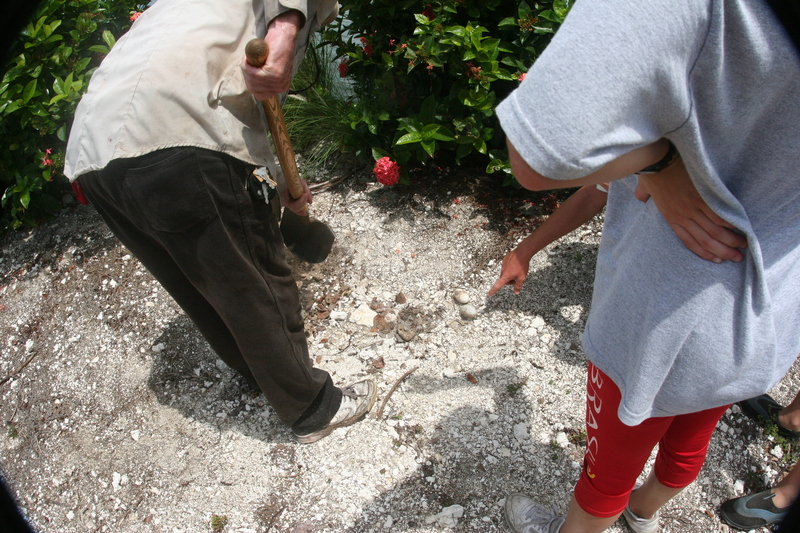 Students unearthing a crocodile nest for research.